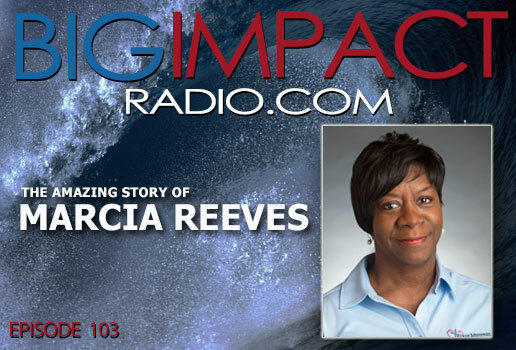 BIG IMPACT Podcast Ep 103 features the amazing story of Marcia Reeves. 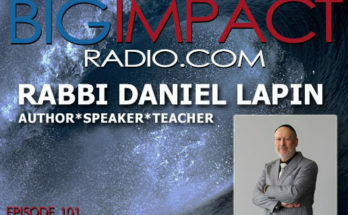 This inspiring lady has an inspiring life story that includes abuse, trauma, addiction…and thankfully, recovery and healing. Today, Marcia serves the homeless and hurting as part of the staff at Rescue Ministries of Mid-Michigan – reaching out to men and women are are today where she once was herself. She’s also an author, screenwriter, and documentarian with a big project on her plate – the story of her life. 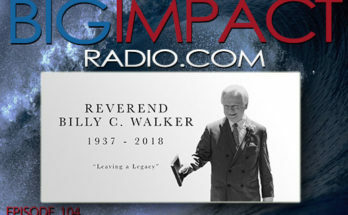 PLEASE SUPPORT THE BIG IMPACT PODCAST via PATREON and contribute anything from $5 on up each month! Your support helps cover our production and hosting costs as we continue to present positive, inspiring, interesting interviews every week!